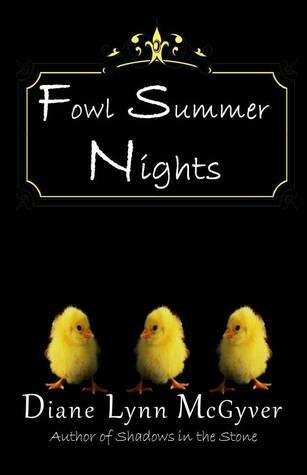 Yesterday I launched Fowl Summer Nights on Quarter Castle Publishing’s Facebook Page. Anyone who shared the event, Liked the Quarter Castle Publishing page, Liked a comment or left a comment had their name entered into a draw. The first name drawn won a paperback copy of Fowl Summer Nights. * The winner was Cathy MacKenzie. The second name drawn won an eBook copy of Fowl Summer Nights. The winner was Pat D’Entremont. Congratulations Cathy and Pat. I’ll be in touch. If you were not a winner and would like another chance to get a free copy, check out the Goodreads Giveaway. The deadline is April 11, 2014. Self-reliant Autumn survived the floodwaters of the Atlantic Ocean when they threatened to consume Nova Scotia and its inhabitants in late 2012, but she hadn’t done it alone. Her brother Graham, an employee of the new government system, insisted she abandon the island and return with him to New Canada. She refused. While she swears she is safe, he is convinced he knows best and will stop at nothing to have his way. Joan Jillian Halley has done what she’s been told to do since Hurricane Juan claimed both her parents. She’s dreaming of freedom, but she’s not sure if she trusts herself to follow through with her escape plans. Her boyfriend and warden, Frank Lewis, wants them to conceive a beautiful daughter he can cherish, and Joan is terrified. Will she use the information discovered at the public archives to escape a life of torture and pain? Or will she continue to be a pawn in Frank and his sister’s twisted world? Morris, Laurence Aiden—48, Dartmouth, has waited more than six months for this day. Still, he’s unsure if he’s ready to make the journey to Heaven…or Hell. It feels as if something is missing, but he can’t fathom what it is. While he bides his time, he reads the obituaries, hoping that by connecting with travelling souls, he’ll find what he seeks. Thank you to everyone who participated in the book launch. *NOTE: The paperback was supposed to arrive from CreateSpace on Friday March 28th, but it didn’t. I can only assume the blizzard that raged for almost two days delayed delivery. It will be in the mail the day after it arrives.